The American Association of Orthodontists recommends that a child receive their first orthodontic check-up by age 7. 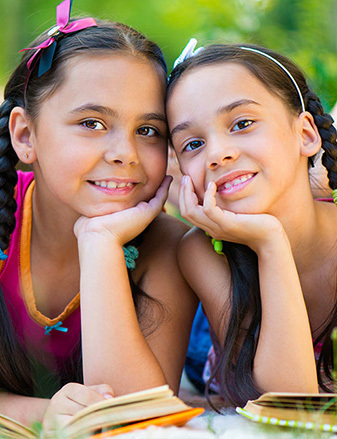 El Paso, TX orthodontist Dr. Brad Gaynier offers free orthodontic check-ups for children! At your child's free orthodontic check-up, Dr. Gaynier will identify if any orthodontic problems exist and discuss what the next steps would be in their orthodontic care. Because patients differ in both physiological development and treatment needs, Dr. Gaynier focuses on providing each patient with the most appropriate treatment at the most appropriate time. In certain cases, a limited phase of treatment to intercept a problem early is the best course, and in other cases waiting for further dental growth and development is better. You don't have to wonder whether or not your child has an orthodontic problem, what to do about it, or when is the best time to have it treated. You will leave the free checkup appointment with a clear understanding about any problems and what the next steps are in your son or daughter's orthodontic care. We look forward to meeting you and serving as the orthodontic resource for your entire family! Our office locations are in West El Paso and Northeast El Paso. You can schedule your son or daughter's free orthodontic check-up appointment either on our website 24/7, or by calling our main number during business hours @ 915-581-8152.